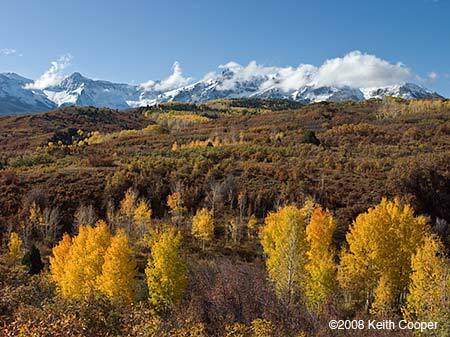 During a 2008 trip to Colorado, Keith was lent a Ricoh GX200 to take with him. The year before he looked at its predecessor, the Caplio GX100 and found that with a few caveats, it was a pretty good ‘shirt pocket’ camera. What’s been changed and how did it perform? Please do note that this review is -not- a detailed technical test/evaluation of the GX200 – it is deliberately quite subjective in areas. There are full technical specs at the end, and links to other more detailed reviews if you are curious. 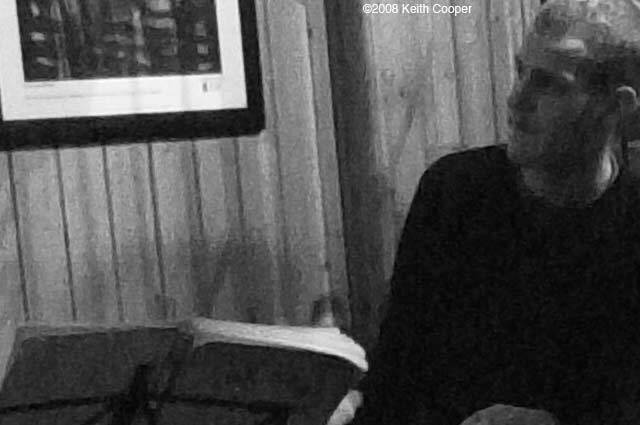 Keith is, as ever, happy to answer questions about the review. Superficially the GX200 looks (and feels) pretty similar to the GX100 I tried out last year [GX100 Review]. I’ve a list of significant changes and my comments in the conclusions at the end of the article. I’ll (mainly) assume that you’ve not read about the earlier model and are looking at the GX200 as a new purchase, rather than an upgrade. 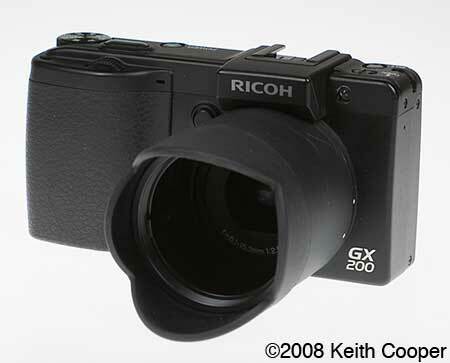 Nov 2008 – A new article about creating ACR camera profiles includes two downloadable GX200 camera profiles and instructions on how to make your own. GX200 with lens cap – move mouse over picture to see the lens. Firstly a bit of background as to why I was looking at this camera, and what I’m looking at in this review. As such, I take some fairly expensive kit with me…. Here’s the GX200 with my laptop. Note that in the picture at the top of the page, and this one, the optional electronic viewfinder is fitted (of which more later). Most of the lenses in the shot below weigh (and cost) more than the GX200 (even with its accessories). What I’m looking for in a small camera, is one that gives me flexibility and control over its functionality, whilst having the capability of grabbing a good quality image should I come across a shot, when I’m not lugging several kilos of ‘Pro’ gear with me. Using the expensive stuff day to day does have its disadvantages, in that you get used a certain level of picture quality. That 21 Megapixel (MP) 35mm sensor is designed for studio quality work. 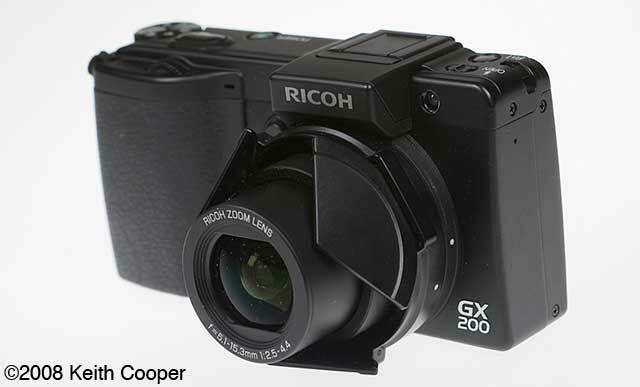 The GX200 has 12 Megapixels fitted into a much smaller sensor – indeed, I was initially concerned as to whether upping the megapixel count from the 10 MP of the GX100 was an undue concession to the ‘ever more megapixels’ cries from the marketing department. The manual (well worth reading). There are a lot of features built into this little camera, and when I’d looked at the GX100 I felt, I’d maybe not explored enough of what could be used. 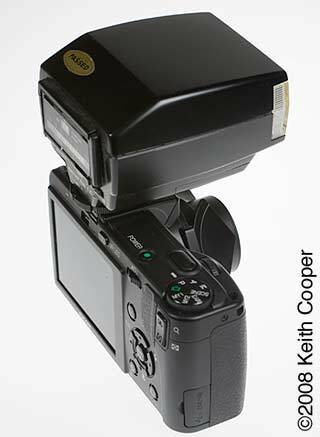 The optional electronic viewfinder (front middle) clips into the flash hotshoe on the top of the camera, and has its own little carrying bag/case (back). To the right is the TC1 teleconvertor, which takes the lens from 74mm maximum to ~135mm . The small box in the middle is the (universal) battery charger. The Camera uses a small lithium battery, or can take 2 AAA size batteries if need be. During two and a half weeks of daily use in the US, the battery only went flat twice. The tube behind the teleconvertor is the extension tube to mount the TC1 onto the body. The ‘Petals’ are a soft lens hood that you can leave fitted. The lens hood in place – move mouse over picture to see lens. The TC1 screws on to the tube. 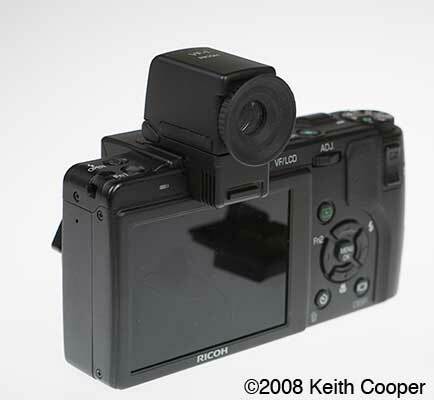 A small internal bar tells the camera that the converter is fitted, so that it can automatically zoom the lens in appropriately. Note too the small white dot for aligning the tube for its fairly solid twist-click fit. It’s important to note that the Teleconverter is only designed to work at the longer focal length (zoom) settings for the camera. If you have the TC1 fitted and zoom out then there is (to say the least) serious vignetting, as shown in the extreme example below. A nifty bit of design is the spring loaded lens cap – great, because I’m always losing the things. As you can see below, the lens just pushes it open. 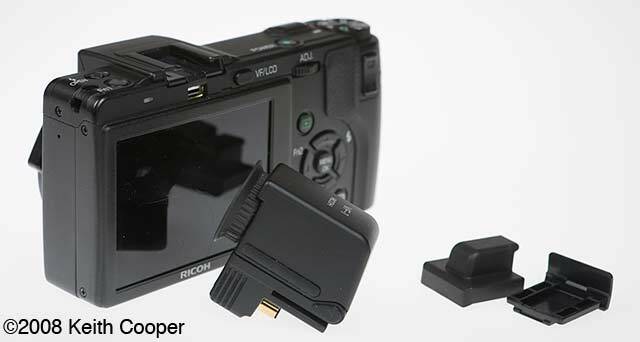 The optional viewfinder clips into the flash shoe. The two bits of plastic are for protection of the connectors when not fitted. 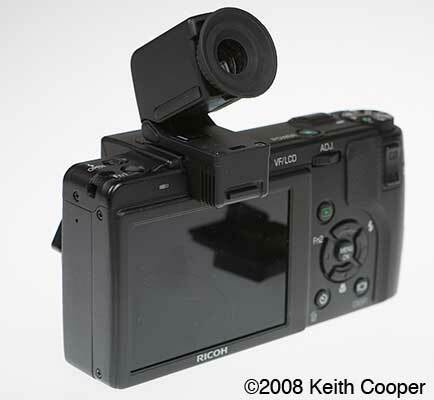 The viewfinder also flips up (mouse over the picture above) to give different viewing positions. Unfortunately no extension lead is available to allow remote viewing (even a 30cm one would be useful for macro use, and given the camera focuses down to 1cm, it would make for a very easy to use device). 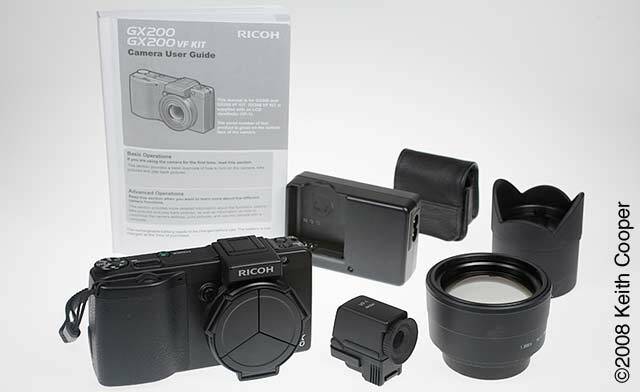 You can either use the built in flash, which has features such as adjustable power levels and 2nd curtain firing, or you can fit an external flash gun. Move your mouse over the picture below to see the flash unit. 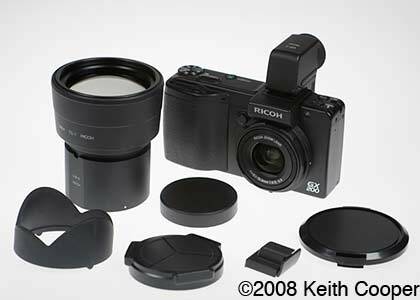 You can also see the release button that unlatches the lens cap, or the tube with the TC1 teleconverter. The picture to the right shows the camera with my old (1980s) Olympus T20 flash, where it worked fine in both manual and auto modes. I tried the camera both with a larger Canon flash unit (550EX) and with a wireless adapter, firing a studio unit. The camera worked at all shutter speeds I tried. Some important caveats are worth noting if you are using an external flash unit. The working voltage of the flash X contact should be less than 20V. The centre (X) contact should be positive polarity with respect to the frame (side contacts). The centre contact should be the only one on the flash hot shoe connector (the extra connectors on the T20 and the 550EX were not a problem though). Of particular importance are the working voltage and polarity limits. I also found a 1980 Boots ‘Pacer Companion’ flash in my ‘junk box’ – I checked, and it measured a huge 250.1 Volts – just be careful, your old flash guns may work, but likely your camera won’t afterwards. 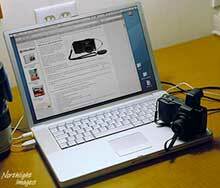 There are links to helpful flash use info (including voltage info) on our Photo Resources page. I’m not going to go into all the functionality offered, but the picture shows the range of control options, many of which you can customise. The dial on the top offers three different personal settings sets (MY1,2,3) so you can configure the camera for different types of use. 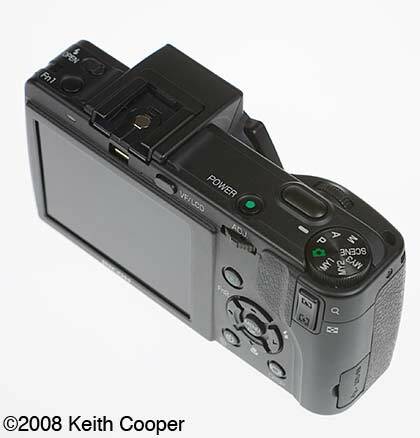 For example, I had the left hand function button (Fn1) set to switch the camera to manual focus. This was particularly useful for taking pictures whilst driving, ensuring minimal delay from pressing the shutter, and more importantly stopping the camera focusing on part of the car window rather than what was outside. Quite a few of the pictures in the travel blog I wrote, were taken by my partner Karen, whilst I was driving along. 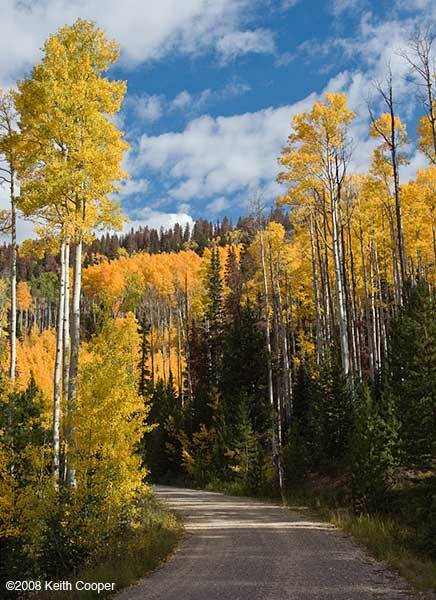 An example would be this view of some cottonwood trees, just catching the sunlight as we were driving up CO-291, north of Salida, Colorado. With a bit of work postprocessing work, this picture made a very nice A3 sized print – it’s been slghtly cropped from the full frame view. I’ll cover some of the post processing later in the review. 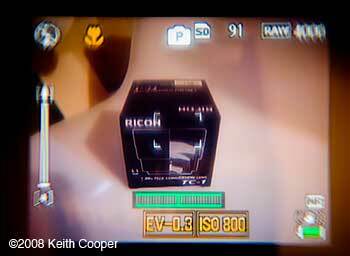 Note that I won’t be covering the supplied software whatsoever – once again, Ricoh seem to have assumed that Apple Mac users won’t buy their camera… No problem for me, since the camera produces RAW files in DNG format which Photoshop and a number of other RAW converters will open. Windows only support? – wake up Ricoh! …but at least firmware updates work on both platforms. Given the photo is taken through a tinted (moving) car windscreen, it captures the unusual lighting very well (heavy snow followed not long after). It was taken by my partner Karen, who was on the trip. She doesn’t claim to be a photographer at all (she designs and makes Bridal Jewellery) but she does like the GX200 a great deal. You should appreciate that nearly all the pictures in this article are JPEG images, usually resized and processed to look OK on a web page. This has quite an effect on their quality, and given the nature of the web, colour accuracy leaves a lot to be desired. The picture above, for example, has a stronger colour tint to the clouds, than I saw when producing the version for a print, in Photoshop. The essence of this is that you should never base too many of your opinions of a camera on web images, since this says as much about the limitations of web graphics, your own monitor and the skills of whoever prepared the images, as it does about the camera. However that’s not with any of the attachments fitted. Given my propensity to lose lens caps and odd bits of plastic, I kept the various bits and pieces in my main camera bag (don’t forget – it isn’t my camera ;-). Although I don’t mind changing lenses all the time on my main camera, I found myself less inclined to do so on the Ricoh. My most commonly used lens on the 1Ds3 is the 24-70 2.8L, so the 24-72 mm range of the GX200 was fine. As such, most of the time I only had the basic camera with me. 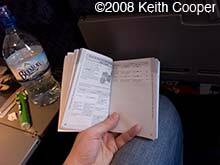 A transatlantic flight (Manchester to Chicago) gave me plenty of time to read the manual and try lots of the different camera settings. If you are new to the camera, and perhaps used to using kit like mine, then I’d definitely recommend taking the time to read through the book. It’s quite well written… for a camera manual. Important ‘features’ were deactivated, such as ‘digital zoom’. Digital Zoom is an invention of marketing departments and IMHO is of no earthly worth to anyone outside of a person trying to sell a camera. If you can think of a good use for digital zoom, then please do let me know. No-one has ever come up with one yet. I tried the movie mode, which apart from showing a confused looking Karen sitting next to me, picks up the noise in an aircraft cabin very well. 640×480 30fps movies are not a great deal of interest to me, but they looked fine. There are quite a few ‘shooting mode’ options available, but what’s missing from the descriptions is exactly what they do in terms of camera settings. More interesting are the options for configuring what features you have ‘quick access’ to via buttons and dials. The live histogram seems pretty accurate and you can have a ‘thirds’ grid superimposed on the LCD if you want to line up items (there is a built in level in the camera too). The camera has a collection of image editing functions (WB for example), however, I was only looking at features that were relevant to RAW shooting. You can also have a setting optimised for text, and correct for picture skew. If you add the 19mm wide angle adapter (not tried) you can enable image distortion correction. If you want details of all these features, check out some of the more detailed reviews at the end of this article. I used a 4GB Sandisk Ultra II SD card in the camera (there is a table of card capacities at the end of the article). One nice feature is that when I plugged in the USB cable, the camera switched on and mounted as a disk on my desktop. When I ejected the disk, the camera switched itself off. I’ve been back from the US for a week and as yet have not started to go through all the photos I took (I like to leave it a few weeks and see the pictures afresh). However I’ll pick a few that I took to show some aspects of how I’ve been processing the pictures. 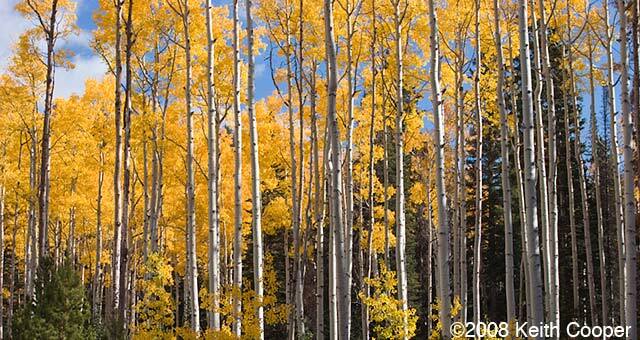 Let’s start with a photo of some Aspen trees near Steamboat Springs, Colorado. For a colour print I’d work in a larger colour space, such as Adobe98, or even ProPhoto, since there are some very intense colours here. 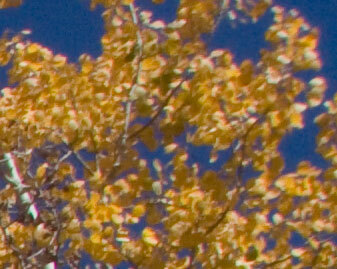 Note the noise in the sky, softness of the image and chromatic aberation (colour fringing) on the thicker branch. Actually the softness of the lens is not too bad – my old 16-35mm lens at 24mm on my original 11MP 1Ds would have probably have been slightly worse at the corners. Colour fringing was easily fixed. A bit of adjustment of the noise and sharpening sliders works wonders too (remember that this is at 100% and the far corner of a wide angle shot). Anyway, here’s a more scenic version (near Hahn’s Peak, Colorado). No problems under tungsten lighting either. 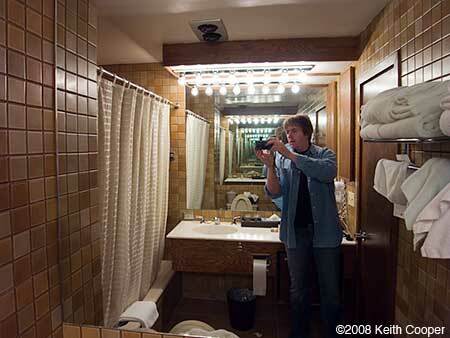 This in a bathroom with lots of mirrors, where we stayed in Aspen. There is a lot of detail in the picture below of the Mt. Sneffels range. Producing a good print from this file will require careful attention to colour balance, RAW settings and processing. In fact all the things that getting a good print from my main camera would need. When I looked at the GX100, the small VF-1 unit was one of the aspects that initially appealed. Unfortunately I’ve been spoilt by using a very expensive DSLR camera that has one of the biggest/brightest viewfinder images going (for a 35mm DSLR). I used the EVF several times outdoors in bright lighting, but it never felt entirely comfortable. I should add that Karen, who’s not a photographer and wears glasses, found it quite useful, and was happier to use it than I was. The picture to the right is a rough approximation of how the VF-1 looks to me. It’s actually sharper than the photo suggests, which was taken using an old Russian 58mm f/2 lens on my 1Ds3, a lens that I didn’t mind pushing the VF-1 eyecup up against. 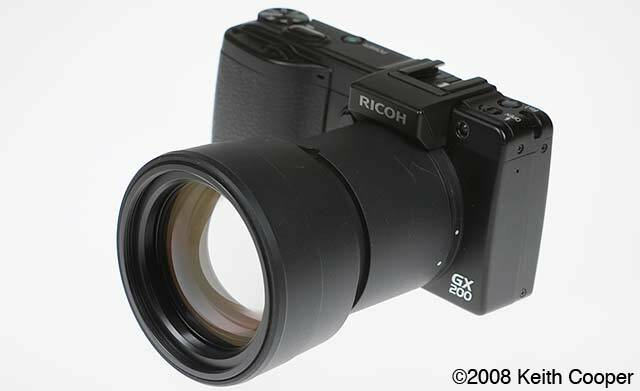 There is one factor I’d love Ricoh to work on, and that is the optics in the viewfinder itself. The image quality is too dependent on your eye position, and moving slightly off axis shows up chromatic aberation and loss of edge sharpness in the image. I also find the image a little jittery, particularly if there are any TVs/fluorescent lights in the view or you pan rapidly. 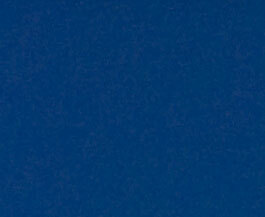 The picture below shows the setup photographed above. The green bar below the centre is the built in level – useful, but I generally prefer to line up the picture rather than just know the camera is level. It also allows the camera to auto rotate stored photos, when you look at them on the screen (once again an option). 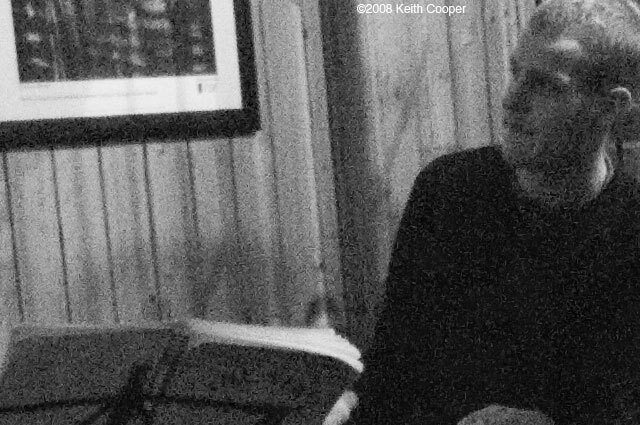 Normally I tell people not to bother with the black and white mode of digital cameras – you can usually produce better results later, by converting colour files to B/W. I’ve picked an example here that is rather unkind to the camera. Low light, High ISO. One nice feature of the camera is that if you are shooting DNG and JPEG, the viewfinder displays black and white, the display on the back after the shot shows black and white images, but the DNG file is still the full (colour) sensor data. 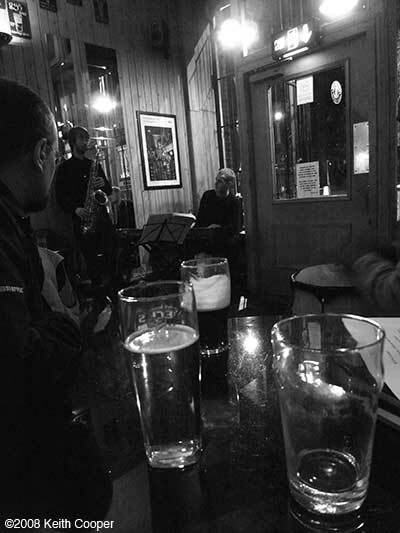 The picture here (1am in a Jazz Club) is a resized JPEG file taken at ISO 800, with -0.7 exposure compensation, so as not to burn out too much of the (dim) lighting. 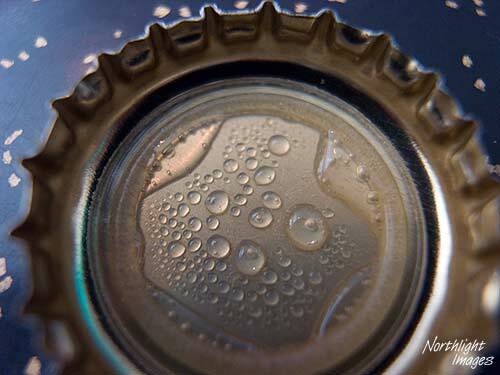 It’s 1/8th second at f/2.5 (24mm equiv) – once again showing the huge depth of field that small sensor cameras give. 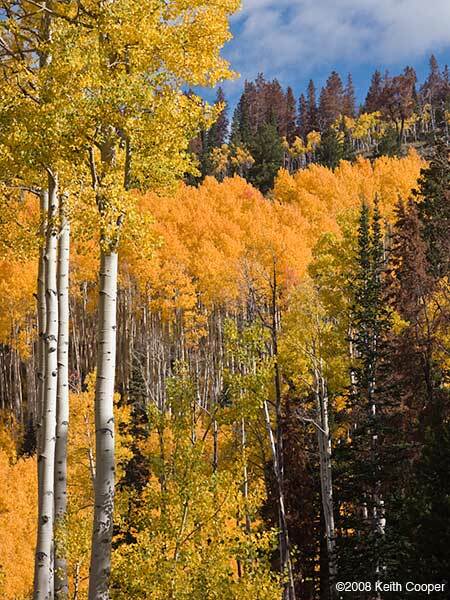 A 4MB JPEG file at 3000×4000 resolution. You can at least turn down the JPEG noise reduction in the camera settings. A version below converted in Adobe camera raw (V4.6 CS3), where I’ve also adjusted the various noise and sharpening settings. If I was doing an A3 sized print, I’d rather start with the DNG. At 5″x7″ the differences would be far less noticeable. At 1600 ISO the effect is much more noticeable – I’d have to put the 1600 setting into the ‘there if you really need it’ category. One of the specifications it’s easy to miss is the 1 centimeter minimum focus distance. It takes a bit of practice and experimentation, but the fact that you can use the camera in manual mode, makes this far easier. Good macro work requires quite a bit of skill and patience. This hand held shot of a spider is one of the many that have taken up residence on the outside of a window at the front of the house – in the original picture you can clearly see hairs and individual threads of web. Once again – I’ve loads of expensive studio equipment that could produce a stunning picture of the spider at A2 size, but that’s not the point. Many professional photographers I know (but not as many as you might think) are still interested in just taking pictures for pictures sake. A really nice little camera, easy to use, and with the quality and flexibility to produce good sized prints. I was unable to test the 19mm wide adapter for this review, whilst images from the TC-1 135mm adapter were of very good quality. 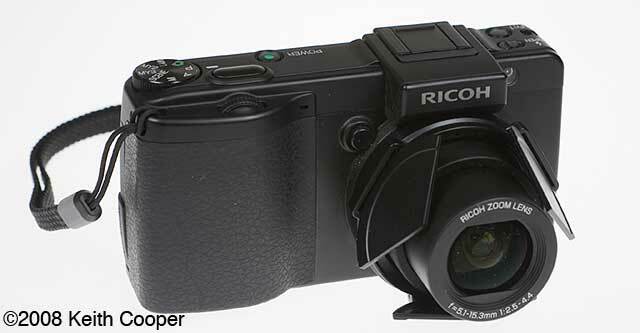 The faster RAW handling alone makes it a useful improvement for myself, compared to the GX100. The choice of DNG as the file format is an excellent move. It doesn’t get in your way, trying to do everything for you – the designers have not assumed I’m an idiot, which is a refreshing change from some compact camera designs I’ve seen. A range of useful accessories, although personally, the optical quality of the VF-1 electronic viewfinder slightly limited its usefulness. The higher resolution LCD is a bonus, and although I don’t have a GX100 to directly compare, I’d say the lens quality is better too, with many corrections easily applied when processing RAW files. As to the supplied software… who knows? I’ve used Apple Macs for years and we don’t have a single PC in the company to run the supplied software. At least the DNG raw format is easy to read. I’ve not investigated the performance of other RAW converters or noise reduction software (Noise Ninja did work well in a quick test), but I’m satisfied that I could get very nice prints from the camera if needed. Using ACR for the DNG conversions, I have noticed that at higher ISO settings the white balance does seem to drift a little. 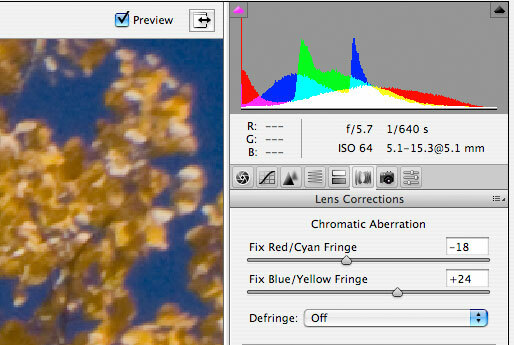 If I was going to use the camera a lot, I’d probably create specific ACR profiles for it at different ISO settings. At sensitivities above 100 ISO I felt the levels of noise starting to intrude, although with appropriate processing, I found that only 1600 ISO had to be consigned to the ’emergency use only’ category. However, I’m still left with the feeling that with the general sensor improvements in the GX200 over the GX100 are pushing the limits of sensor capacity. For any follow up camera I’d rather see the same 12MP fitted into a slightly bigger sensor. 12 MP is more than enough for this sort of camera (with current technologies), please don’t spoil it by listening to too many people in marketing who say ‘ever more MP’. In the course of writing up my experiences with the camera, I’ve seen all kinds of reviews of a much more technical nature – I’ll include links to good ones in the links below. If you’ve read this and come across any I’ve not mentioned, please do feel free to point them out? Expanding buffer memory has made continuous shooting of up to five images possible in RAW mode, and it is also now possible to use the bracketing function to automatically change exposure settings when shooting in RAW mode. 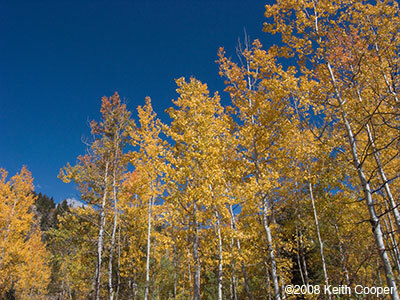 Other expanded RAW shooting capabilities include the ability to shoot 1:1 aspect ratio (vertical/horizontal ratio) format photography in RAW mode. Makes RAW shooting my default option for the GX200. The buffer capacity rarely had any impact on my ability to take shots when I wanted them. 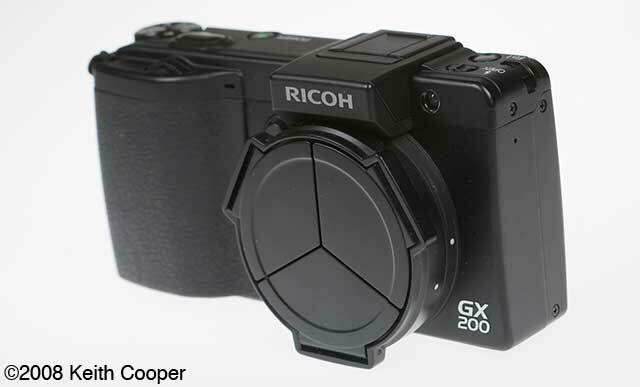 With the GX100, the RAW capacity and speed was an issue – now I’m happy. 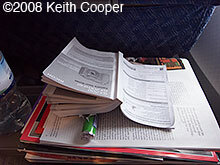 After reading the full manual, during my flight, I’d have expected to use this more, but didn’t. That’s probably because of the other (slightly more expensive) kit I had with me, and if the GX200 was my only camera on a trip, then I suspect I’d actually configure these. There are now one-push mode change function buttons both on the top surface and as one of the rear-surface cross keys. These buttons can be used for customized settings to, for example, to switch from JPEG to RAW or from colour to B&W. You can switch quickly to your preferred shooting mode when confronted with a sudden photo opportunity. Very useful – I had the top function button set to put the camera into MF (manual focus) mode. The AF is not lightning quick and most times having the camera set at infinity is a good starting point. It’s nice to just be able to turn the dial and have the camera ready set up for a particular use. The AF target shift function, which before could only be used in macro shooting, is now also available in normal shooting. Without moving the camera, it is possible to shift the target for AF or AE or both. It works fine, but on the trip I just never used it. An auto rotate function makes it easier to view images on the picture display. 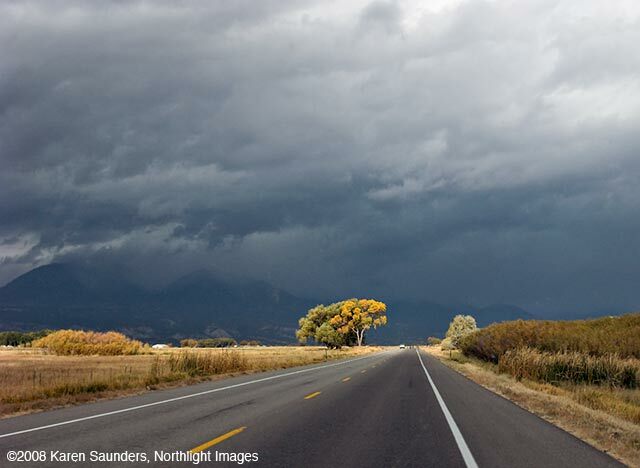 Even when shooting in high-contrast situations, the camera can use an auto level correction function to achieve an appropriate level of brightness while reducing areas that are overly bright or dark. There is a distortion correction function (on/off selection possible) to automatically correct image distortion during shooting also usable with 19 mm conversion lens. When in aperture priority mode, an auto aperture shift function will automatically adjust the aperture setting to prevent overexposure. With the small sensor and big depth of field, aperture priority loses much of the creative functionality I use a lot of the time with 35mm format cameras. This would take some experimenting with to make it of use if I just had the GX200 with me. 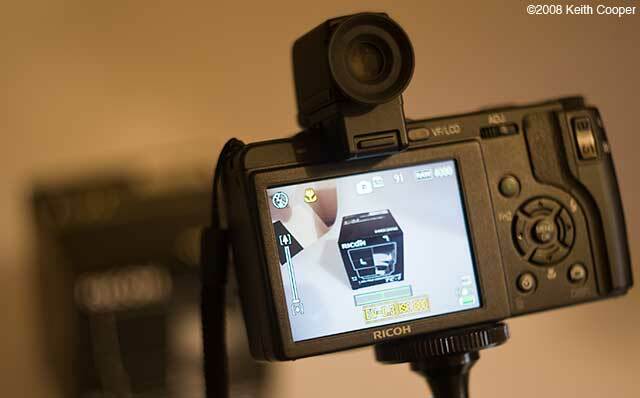 There is a Ricoh PR article about some of the changes that went into the all new version. Compact 12MP camera that is very comfortable to use. 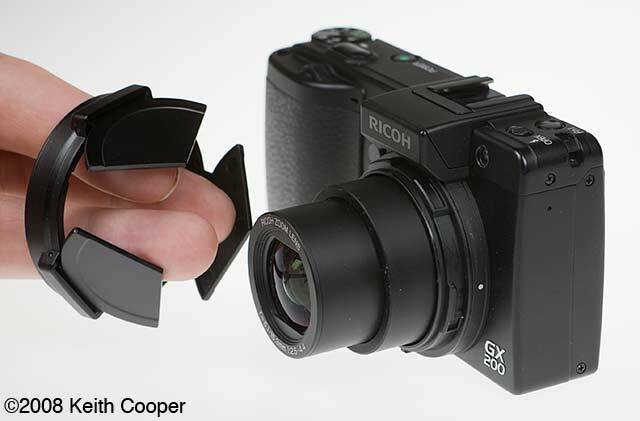 Lots of seemingly minor improvements to the GX100 add up to a camera that felt a lot more flexible and capable in use. Lets you get on with taking pictures rather than try and do it all for you. Excellent image quality that with modest processing make very good A3+ prints. 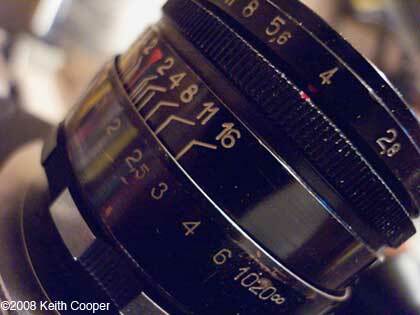 Optional electronic viewfinder is useful in bright light, but could perhaps do with sharper internal optics. 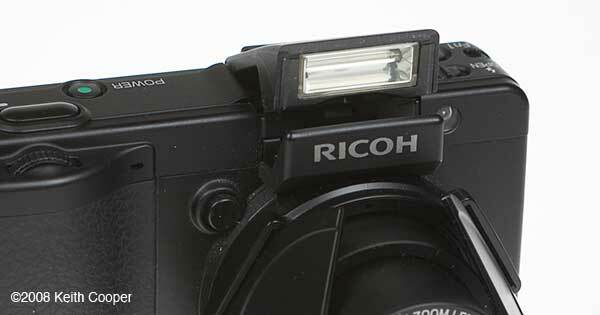 The camera was supplied by Ricoh UK. Ricohforum.com – useful forum with lots of user comments and detailed performance tests. Full res (JPEG) Samples at StevesDigicams review. 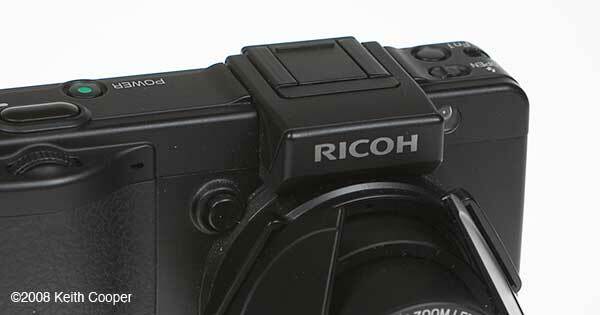 Updated firmware has been announced by Ricoh [Download page]. Modified the following:In the Auto shooting mode, and with the Grid Guide is displayed in the LCD, and if you turn off the camera power and then turn on in the My Setting mode, a lacked grid guide will be displayed. 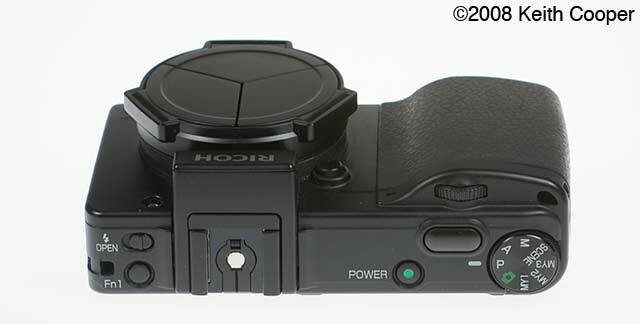 With using AAA batteries, and in the shooting mode, if you click the Playback button to switch to the playback mode, and after the lens will be retracted automatically, if you press the shutter release to return the shooting mode, any key will not work. Modified the following:It may look inverted in high brightness parts during monitoring in some occasions. With using the VF-1, if you take a picture in multishot with RAW, and with Macro, focusing performance may become slow to take time until focus on. Improved the accuracy of level compensation at taking a picture with Auto Levels in the Image setting. Corrected the information of shooting setting in the captured images to correspond to them in the both a DNG file and the JPEG file recorded with a DNG file. Operation time: approx. 10 sec. / 2 sec.